Chapter 03- Answers - "Chapter 3 Page 16"
Book: Swigne is difficult to gain favor with, as they already Bless so few. We are still unsure what is required to gain a book from Swigne. When asked, their response was Swift and Violent. 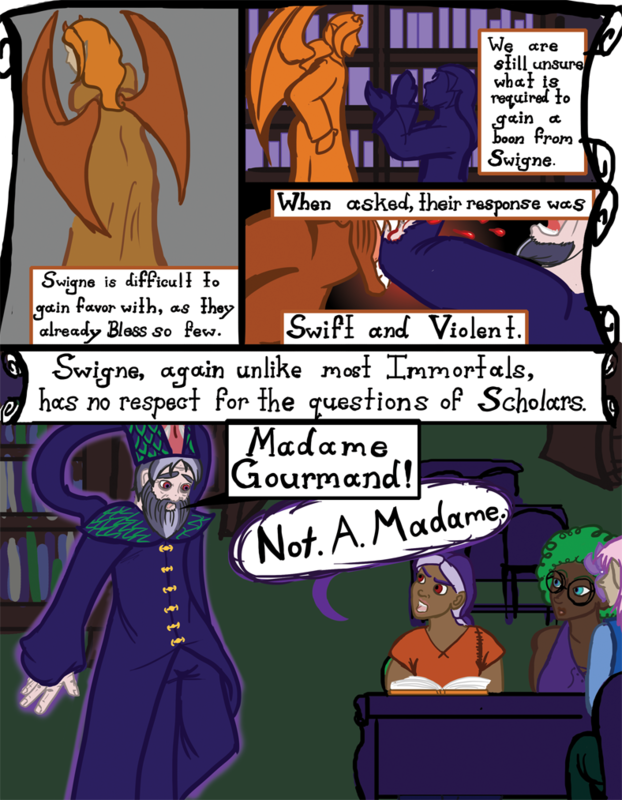 Swigne, again unlike most Immortals, has no respect for the questions of Scholars.